Set on the banks of the River Shannon, our charming park has been created & carved from the heart of it's natural surroundings providing enjoyment to everybody seeking something real & the feeling of being at one with rustic surroundings. You might feel like you've stumbled across a low-key festival where the whole vibe is pretty lively. Here you will not find the usual purpose built park, but the traditional styling of the place is unique & special. This friendly family-run self contained holiday park on the shores of Lough Rea, is a truly peaceful location. Stay in the heart of an area steeped in culture and heritage and suitable for sailing, fishing and water sports. 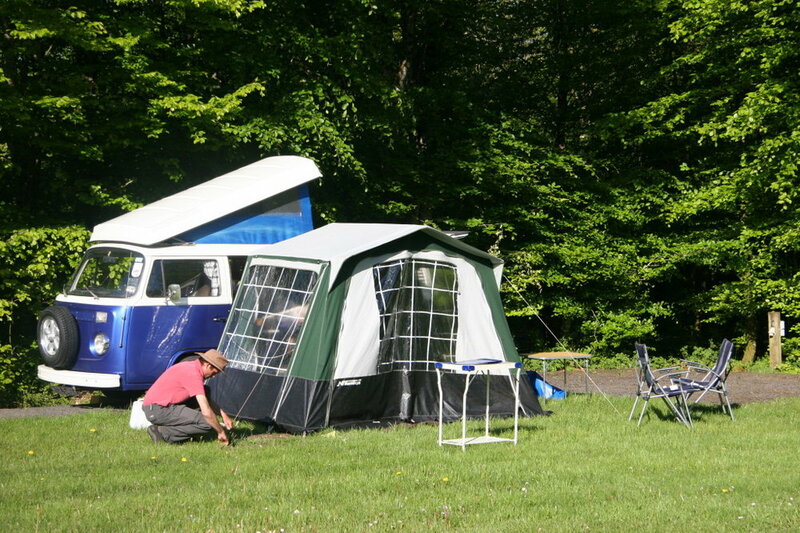 Personally supervised, you will find high standards with hot showers, camper's kitchen, TV and games room, laundry facilities, pitch and putt course, boat hire and fishing tackle for sale or hire.The park is open from mid April to the end of October. Lough Key Forest Park. Boyle, Co. Roscommon. Set in the breathtaking surroundings of the 800 acre Lough Key Forest & Activity Park this superbly landscaped site is an ideal holiday location. There are many activities to enjoy on site, miles of forest walks and trails, spectacular flora and fauna, make a wish on the Wishing Chair, climb to the top of the Moylurg Tower via the first Tree-Top Walk in Ireland, challenge yourself in Boda Borg and let the kids have a ball in Adventure Play Kingdom. Take a cruise with Lough Key Boats around the lake and enjoy the beauty, tranquility and history of Lough Key or hire a boat and explore the islands of Lough Key at your leisure. Hire bicycles or take a Segway tour all within the grounds of Lough Key Forest & Activity Park.